This stunning 2×1 chalet design is perfect for any north-facing block with a view. 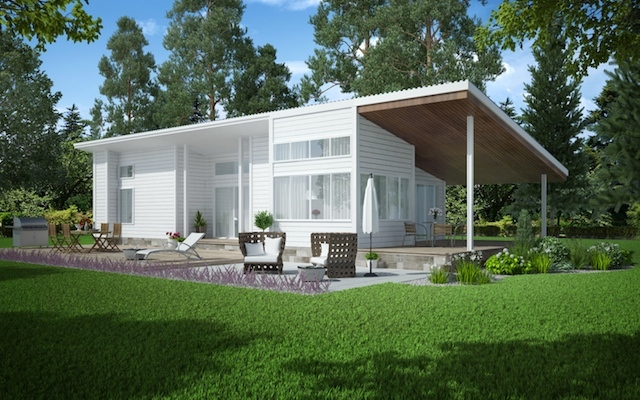 In its 2×1 format it comes in at just over 90m2, but can be modified to a 1×1 for a luxury-style 70m2 granny flat. As you will see by the floor plan, the entry is via the decked entertaining area to a welcoming kitchen, dining and lounge area. The lounge is framed by feature windows to maximise the view, with deep boxed window seats that will entice any guest to relax for hours. The raised master bedroom is open to another feature window facing an easterly view, but may be closed off for privacy. The bathroom is the finishing touch – you will not be able to resist reclining in the bath with a champagne bucket close at hand and yet another view to enjoy through the purposefully positioned feature window in front of you. 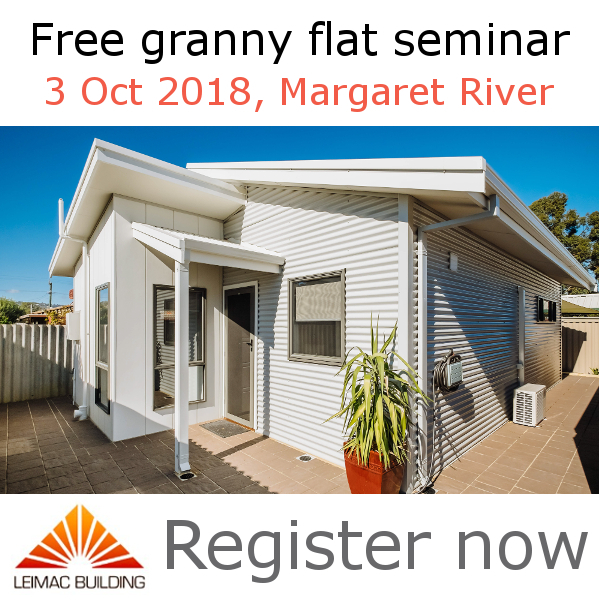 Assuming minimal site works, we aim to build this to suit any block in the Margaret River region from $170K for the 2×1, or $120K for a 1×1 granny flat. Bathroom, kitchen and laundry tiles (standard selections). Flat pack kitchen (standard laminates). Kitchen Cooktop Oven and Rangehood. 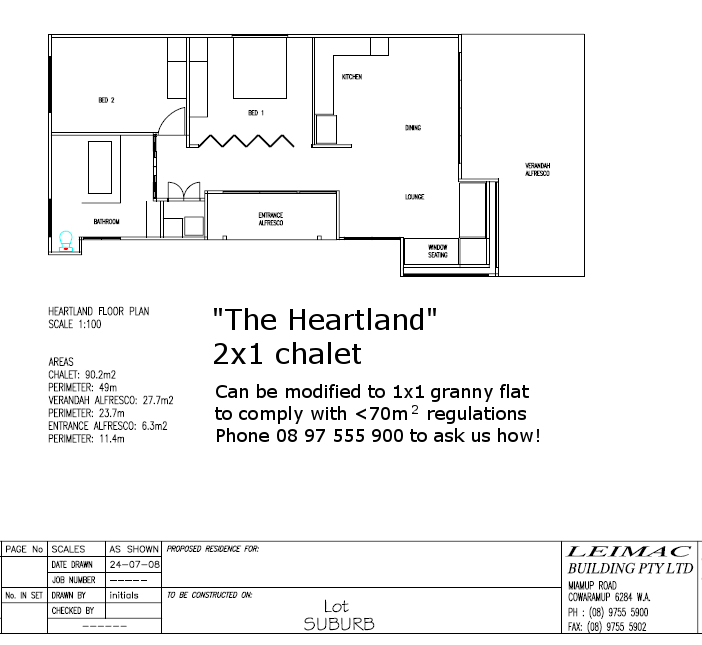 Click on the image to download “The Heartland” chalet floor plan. Let us help you modify this plan to suit your block in the Margaret River region. Call us on 97 555 900 during office hours.